Anyone out there ever worked on a GTP that really ran well?? I haven’t and in fact have never had one of these ‘go through my hands’, so it is something completely new to me altogether! Apparently the problem with this one is a ‘tight’ gearbox, which has to be looked at, since Pud uses this on a regular basis; he just does not have the time or the room to work on this at present, due to ‘other priorities’. I don’t know if he is actually only being kind in giving me an opportunity to learn something new (- At my age! Happens every day, but not like this!) or really hasn’t the space: Whatever the reason, here it is and I am very grateful – thanks, Pud!! And, as you saw in the last hastily assembled blog and the photographs, it is plain to see what a fine example of the marque and model in question. So to the gearbox problem. Nothing can be gained by stripping the box in the frame (if indeed it is possible, it only makes re-assembly more difficult! ), so the process of removing it and dismantling it has to be started somewhere! First of all, the exhaust and all the other parts that are ‘in the way’ on the timing-side have to come off. 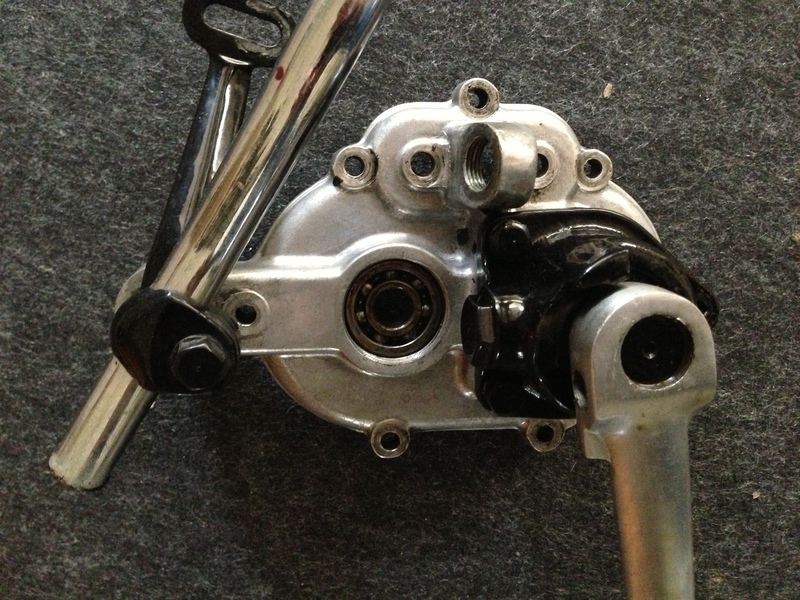 The exhaust is held on with a mounting onto the ‘drop-out’ of the frame at its rear end and the threaded ring on the exhaust-port on the engine end (with a copper ring-gasket inside), with a bracket hanging from inboard of the foot-peg in the middle, which has to be removed along with the distance tube, before the pipe itself will come off, of course. 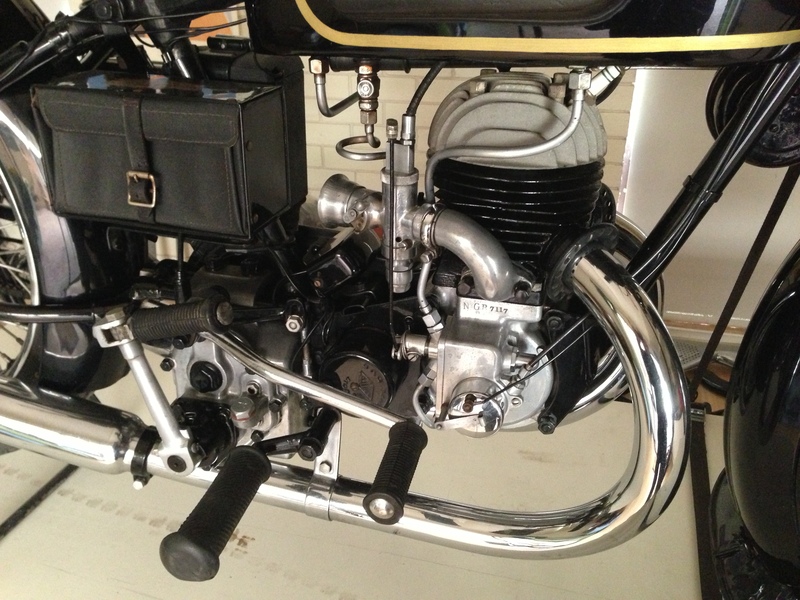 The pipe does not have to separated from the silencer to remove it, have a look at the picture and you will see how it works! 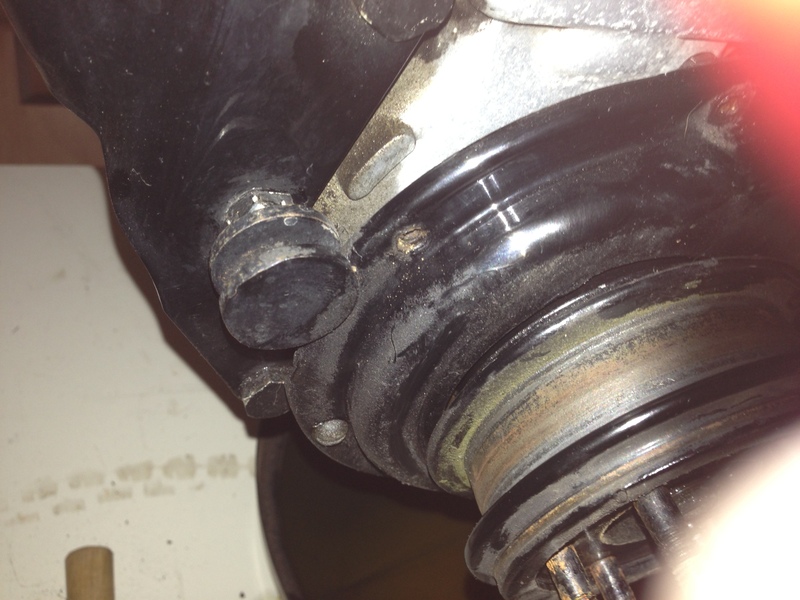 … and the screw and washer that hold the lever mechanism on behind the big bush on the top of the gearbox (as illustrated below, replaced for clarity in the photo!). 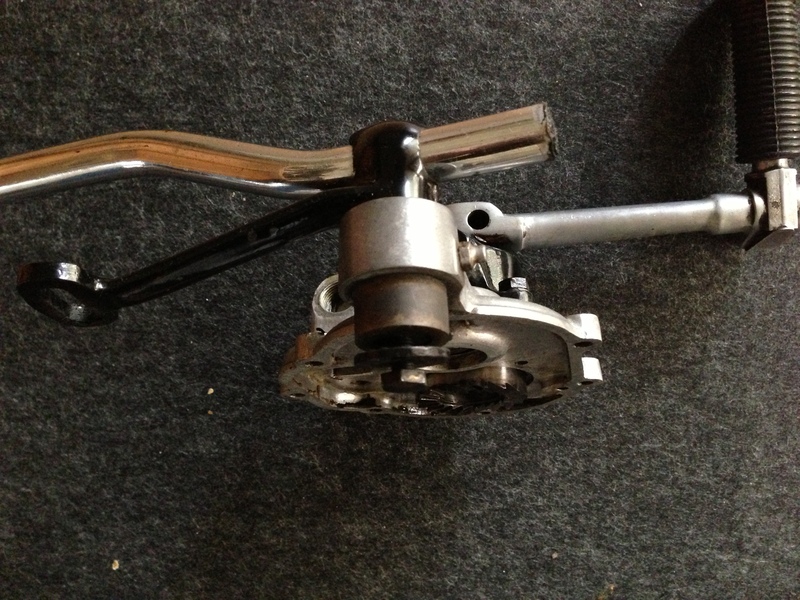 Now with that it out of the way, I removed the cotter-pin from the kickstart (not actually necessary, but means that the lever can be swung out of the way. The disadvantage is that it is a fiddle-faddle to get it back in later). 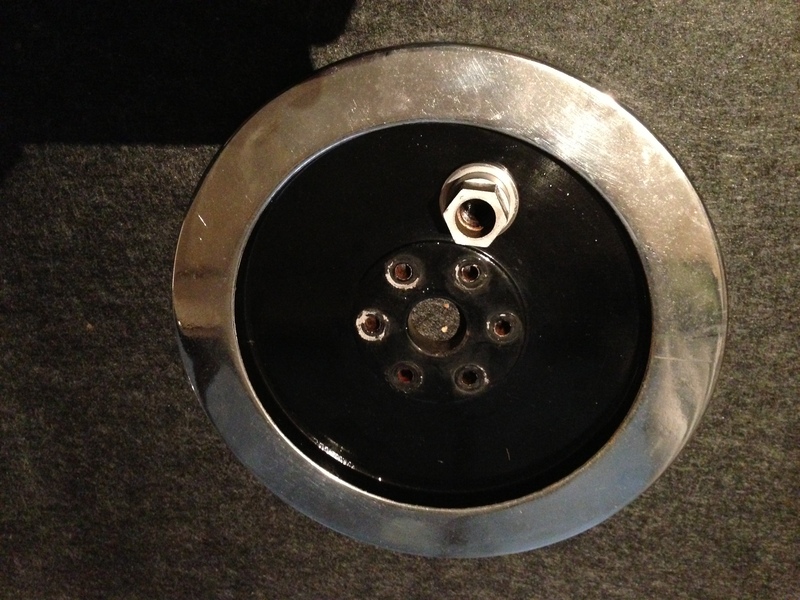 Now all the bolts can be removed from the front cover, not forgetting to remove the large nut (B3) from the cover, to get at the nut on the end of the mainshaft (B5/4) which might make removal of the cover difficult, otherwise! 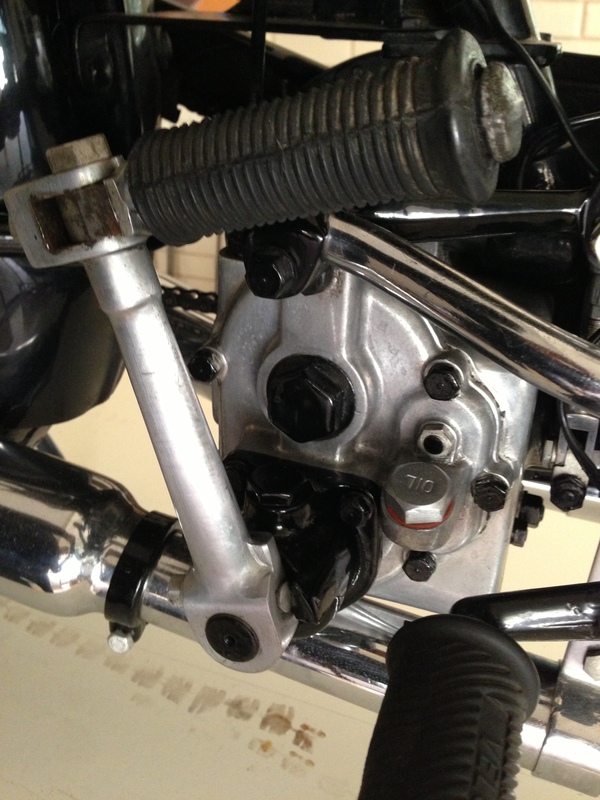 Note also, by the way, the CORRECT B60/2 kick-start and foot-change-rubber with the OPEN end… different to that so often marketed with a closed end: One of my future projects, soon to be revealed! 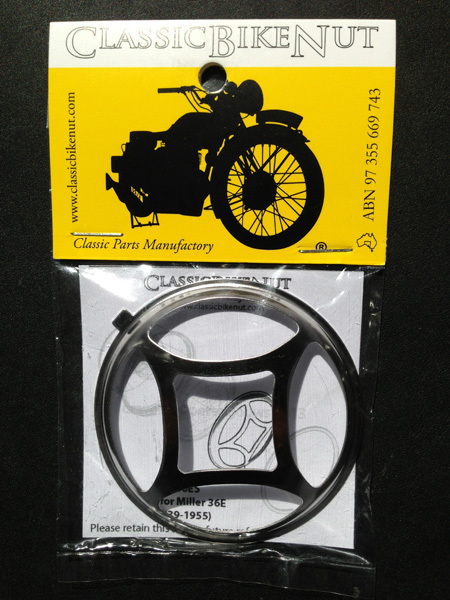 Flywheel first, as the chain-guard is behind it as well as the cover for the dynamo drive-belt (KA93/7), another piece of ‘tinware’ that is unique to the two-strokes – of which there are many! 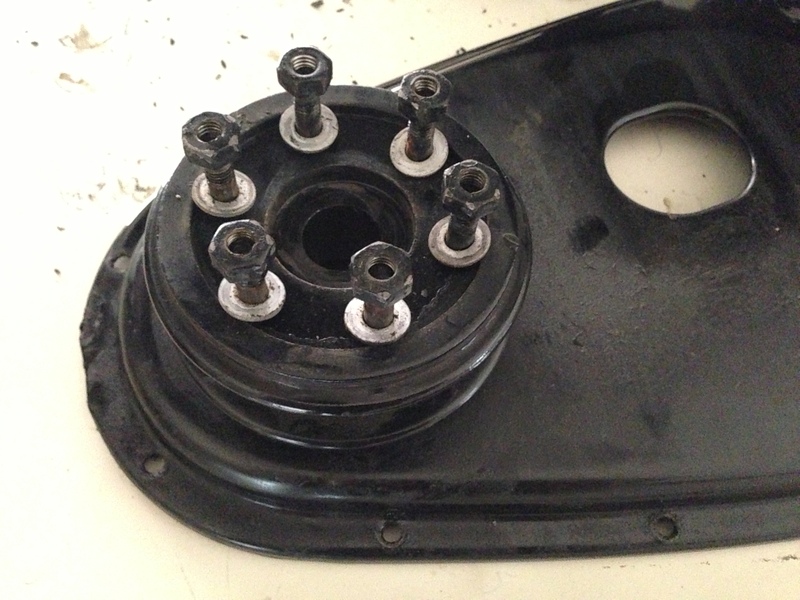 I was a bit wary of the flywheel, but not seeing any other impediment to its removal apart from the six nuts on the centre of the boss, these were dutifully removed. Still sat very tight… Oh well, giving it a gentle bash with a nylon mallet from the back didn’t help, so I started undoing the large nut at the centre and in ‘unwinding’ it so the flywheel was pushed off the shaft by the inside of the flange on the nut and came off relatively easily, as did the aforementioned cover which is held on with two nuts, the dynamo pulley with the usual central nut. 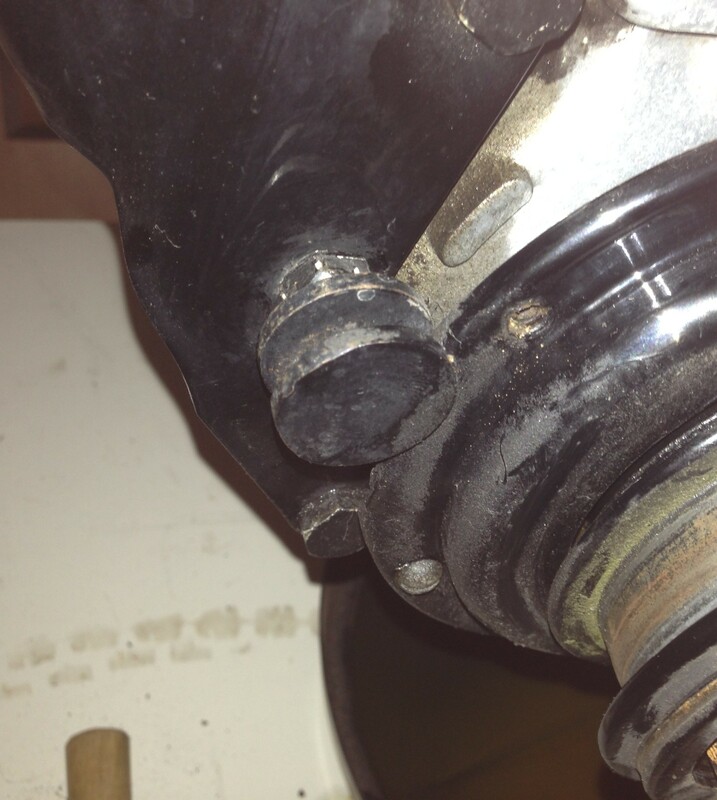 The flywheel removed, showing the flanged nut that was on the INSIDE, which when unscrewed (normal right-hand-thread, by the way) pushes the wheel off the shaft: Clever! Now the larger-than-the-hole-in-the-primary-chain-case boss had to be removed, before the chain-case itself could come off (duh). 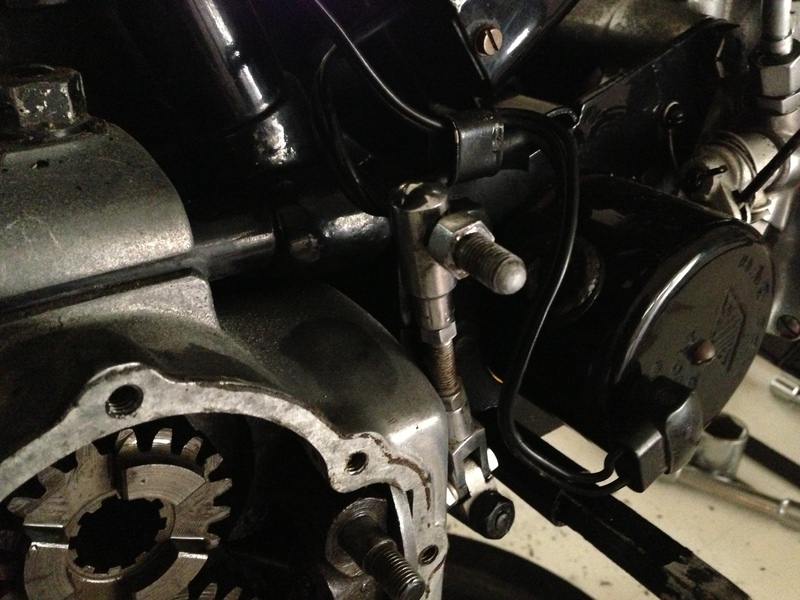 This, according to the parts list, is held on a taper on the shaft, so will require a puller. 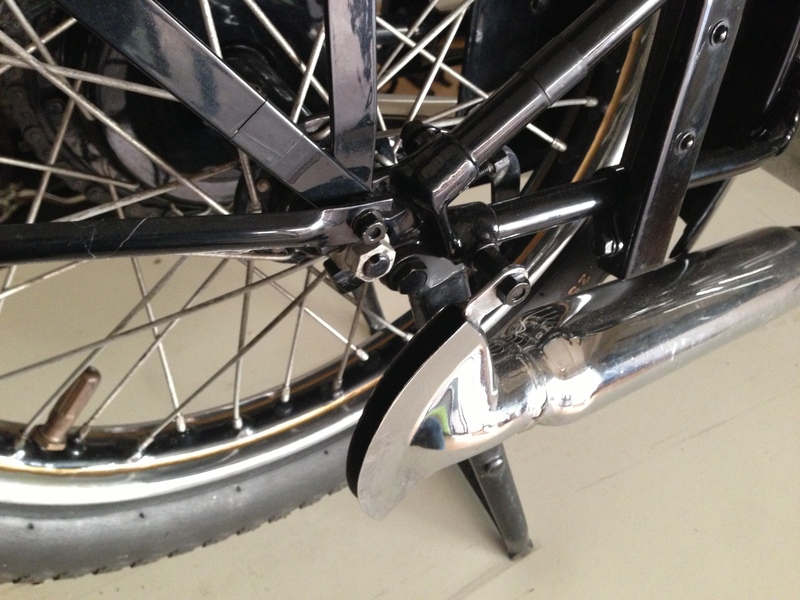 The problem seems to me to be, how is the sprocket attached and how to separate them. No ideas from the parts book either. 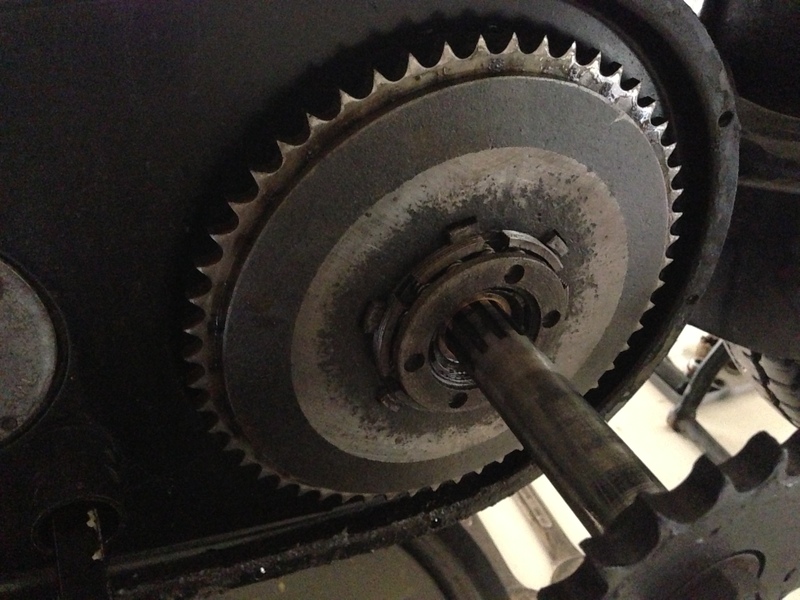 The front of the flywheel-mounting-boss/ belt-drive-pulley is shown with six radial holes as is the sprocket. 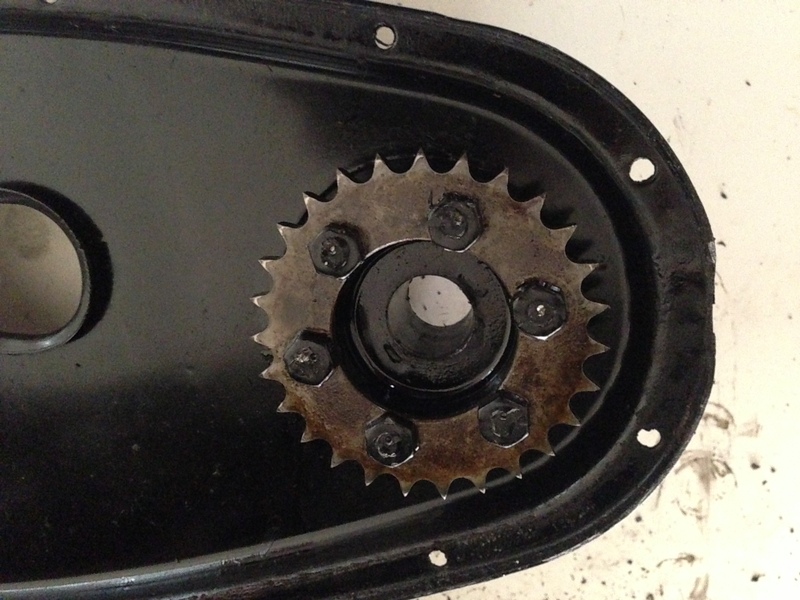 Convenient would be if the sprocket was held on the inside of the chain-case to the ‘back’ of the boss with bolts that ran through the boss to the front, where the flywheel would then be fixed with nuts on the front. 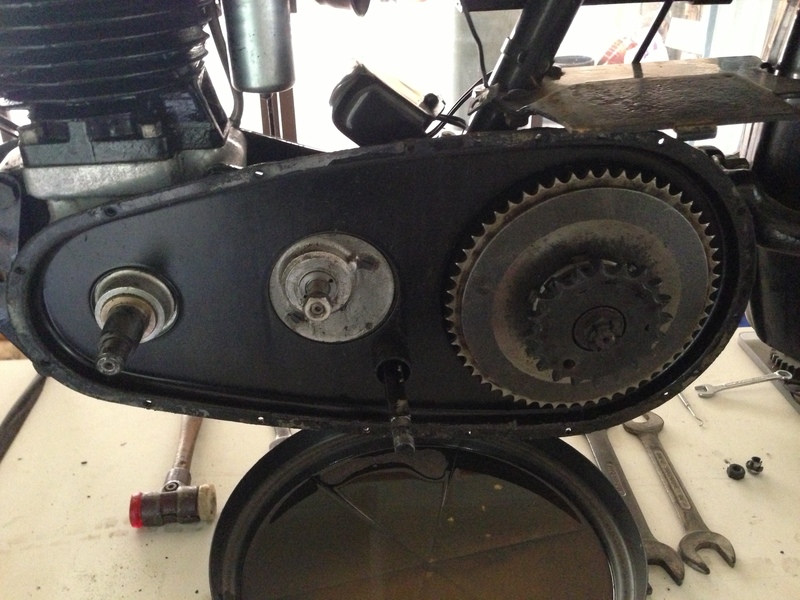 That would make sense, because then, once the flywheel was removed, the boss would still have to be pulled off the shaft, but the sprocket and chain would remain inside the chain-case; HOWEVER: We have a problem here! (This is it AFTER removal! 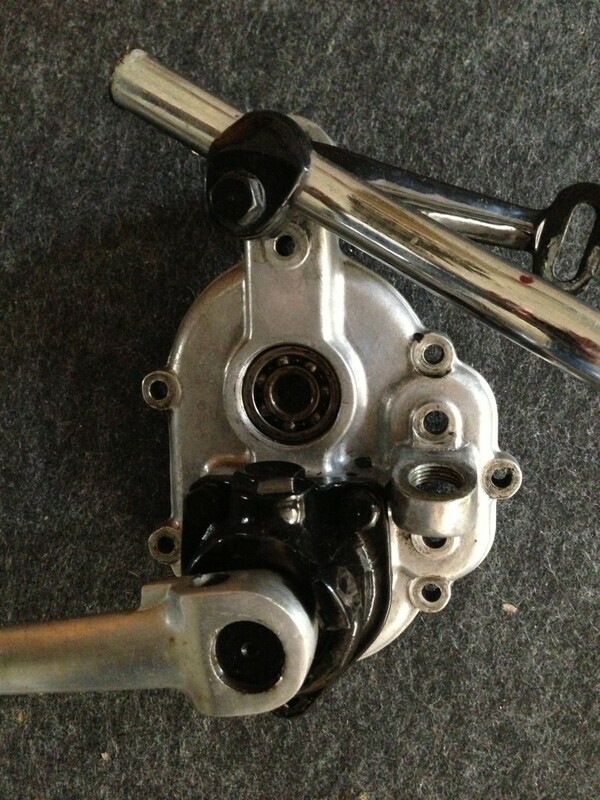 )… that show no sign of movement or being a sliding or loose fit in the holes and the sprocket (unseen on the IN side) seems to be ‘well attached’ to the flywheel boss still. Oops! I shall have to be VERY careful removing the pulley from the shaft, for fear of doing any damage to the chain-case or sprocket. 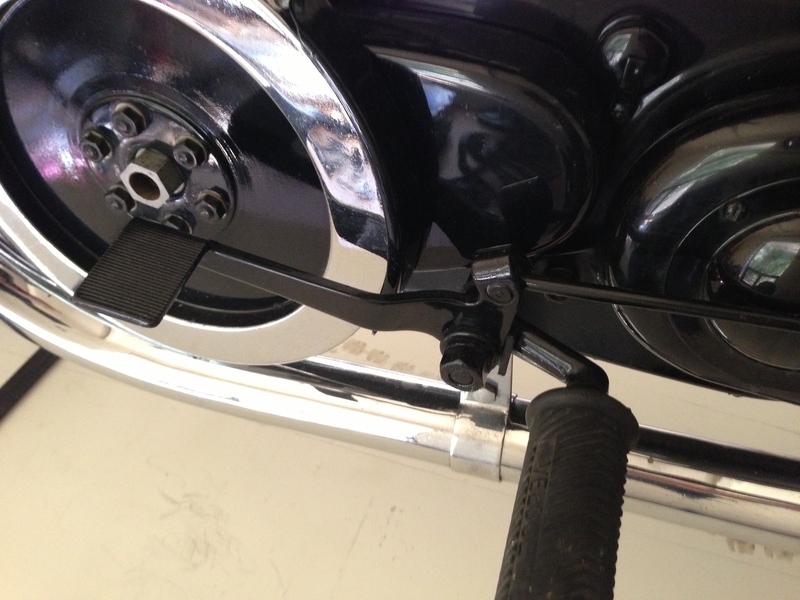 Ah well, you only live once (and Pud can only kill me once, even if very slowly), so the puller was set and the boss pulled off the shaft with a ‘crack!’ As I thought, the chain and sprocket were still attached, but no damage done. Breathe in, breathe out! This also doesn’t help when trying to split the front of the chain-case from the back, if you can follow me because it effectively pinches the front of the cases together, and so also has to be removed before I can go a step further. Well, I managed it. I had to go around the other side and loosen the gearbox mounting and screw the gearbox closer to the engine to slacken the chain and then fiddle the now looser chain off the front sprocket by the old ‘divert and rotate’ trick, which is all that was possible in the confined space, despite removal of the ‘cotton-reel’.